In taking cognizance of the present state of purposefully suppressed news reporting of anything that even remotely resembles the truth in a yet corporate dominated commercial and non-commercial media, it is incumbent upon one to pose a viable media alternative, that if structured correctly, might once and for all give the public enough real information that it needs to function as an empowered citizenry with the ultimate say as to how we want our society and country to act on any given issue in this putative democracy. 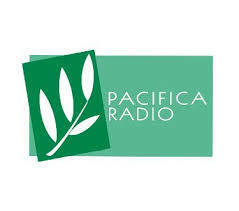 Pacifica station KPFK is one of 5 Pacifica stations around the country with the most powerful signal in the greater Los Angeles area. And yet, even though it is a station that broadcasts in both Spanish and English, it has never realized its potential to reach either of these listener markets, because its hardline theoretical Marxist orientation finds it difficult to get down to the nitty gritty real issues that continue to profoundly effect its potential audience that regrettably remains unable to find these political, economic, and social concerns addressed by any public media station or publication in Greater Los Angeles. What is now going on at KPFK and the other 4 Pacifica stations around the country is they are finally trying to address this issue by reconstituting their programming to more adequately reflect the interests and concerns of a majority of what could be a massive listening demographic with no place to presently hear someone meaningfully addressing the concerns of their daily lives. If you want to be a part of this process, you need to get involved before October 1, 2018 to have a say in making Pacifica and its 5 stations carve out a unique space where something approximating truth is spoken on a daily basis.